As a Christian, have you ever examined yourself and honestly answered the question, “Why do I give, pray or get involved in this or that activity for the kingdom of God?” Is it because the cause presented is so urgent or desperate? Is it because of some internal guilt feeling? Or is it because you are so overpowered by compassion or pity? All these reactions are normal human responses; but according to the Bible, they are not good enough reasons to give to the Lord! “Things” are going to crumble…Christian media programs will have to go off the air…building projects will be shut down…social programs can no longer be…souls will go to hell, if you don’t give now. This is actually an appeal to our unbelief. And worst of all, we are reminded that if these things happen, God’s glory will be gone, and the devil will win—unless, of course, we come to the rescue! Now, I don’t doubt that a number of those projects would not be able to continue without these kinds of appeals! Sadly, we have been trained for decades to give to this kind of request—and too many Christians only give when they hear needs presented in this faithless way. But I also believe the main reason some of those projects would “go under” is because God never ordained them in the first place! Or maybe He is trying to get our attention because He wants to create something newer or better. I’ve always believed that God is not in any financial trouble. We never need to panic, thinking that somehow we need to help Him out of a tight spot. He has made no promise that He is not able to keep. God is not helplessly looking at a lost world hoping that someone will finally feel guilty enough to do something. He promised that His kingdom will never fall—and the gates of hell will not prevail against His Church. He has enough power to complete whatever He sets out to do. God is not the One in trouble—we are. We don’t understand that He doesn’t want our money unless He can have our hearts first! Let us once again return to loving the Lord above all our programs, possessions and our very lives. Then our service, our giving and our praying will turn from being a burden into the greatest privilege and joy we have on this earth. Excerpt from Chapter 12 of Reflecting His Image (ISBN 978159589005X) © 2004 by KP Yohannan, the president and founder of Gospel for Asia. This entry was posted in Reflecting His Image and tagged Bridge of Hope, Christian-living, Christianity, Deeper-life, Discipleship, Dr. KP Yohannan, gfa, Gospel for Asia, Jesus, K.P. Yohannan, KP Yohannan, Spirituality on March 18, 2014 by gfaseo. Each one of us would be absolutely terrified if we were asked to walk along the edge of the Grand Canyon during a pitch-dark night without any light. After all, we could fall off the cliff and die. We might be more willing to do it if we had a travel plan and a bright light that would allow us to see every detail ahead of us. In the same way, we want to plan and control our lives while we walk with the Lord. We want to be sure of tomorrow, and we want to be certain how He is going to take care of us before we ever dare to step out on His Word. We don’t mind that He is our King as long as His actions are predictable and He shows and explains to us His schedule ahead of time. On the other hand, we feel helpless, frustrated, and almost angry if all we hear from Him is “follow Me, trust Me” and “walk by faith, not by sight.” We have waited for details, plans and especially security, but all He gave us was His promise that He is all we need. True walking with the Lord requires us to be totally stripped of everything that is of ourselves and in which we had put our trust, as well as our expectations of acceptance, approval, security, importance, abilities and our rights. Being stripped does not at all mean to renounce the world and go somewhere to live in a cave. It simply means that we look at ourselves and recognize that we have nothing in us to stand on and nothing to hold on to. All we have is total emptiness. Once we recognize this truth, we are then in the right position to follow Him, totally depend on Him and trust completely in His sufficiency. God deliberately waited until Abraham was 100 years old and Sarah 90 before He gave them a son. He waited until there was no doubt that Abraham was aware of his own emptiness and therefore was totally dependent on God. Isaac became the son of the Spirit and not of the flesh. Throughout the Bible we find examples of how God had to wait until His people came to the place of recognizing their own emptiness before He was able to lead them, give them victory and show Himself mighty on their behalf. At times God had to intervene to speed up this process, such as in the story of Gideon. God reduced Gideon’s army to 300 men to make it impossible for them to win the battle in their own strength. How about you? Have you stepped on empty ground? 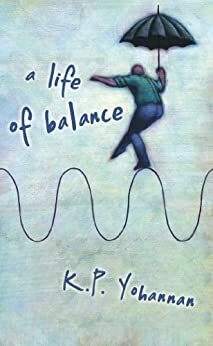 • Is there something the Lord has asked you to do but you have put it off, either because you feel unqualified or because you fear you will lose control of the situation? • What has hindered you from giving unselfishly to reach the lost in our generation? • Can you honestly say, “This world is not my home. I am just passing through”? • If someone were to point a gun at you and say, “Deny Christ or I will kill you,” what would be your response? Can you say as Paul did, “Nor do I count my life dear to myself” (Acts 20:24)? • Is your prayer life proof of your total dependence on the Lord? Do you ask the Lord to show you His plans with a willing heart to obey them, or do you just ask Him to bless your plans? God has never accepted the product of the flesh, and He never will, however good it might look in our sight. Our plans, our strength and our works, based on anything we find in ourselves, will all burn up. Only that which is of the Spirit will remain eternally. If we want to follow Him, we must stand on empty ground. 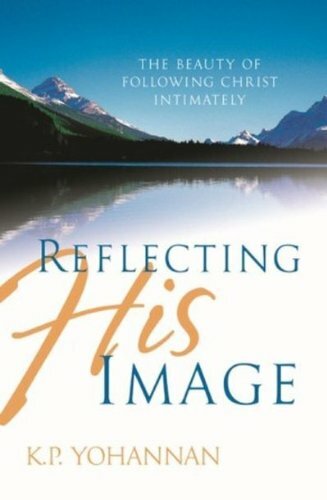 Excerpt from Chapter 9 of Reflecting His Image (ISBN 978159589005X) © 2004 by KP Yohannan, the president and founder of Gospel for Asia. This entry was posted in Reflecting His Image and tagged Bridge of Hope, Christian-living, Christianity, Deeper-life, Discipleship, Dr. KP Yohannan, gfa, Gospel for Asia, Jesus, K.P. Yohannan, KP Yohannan, Spirituality on March 11, 2014 by gfaseo. Excerpt from Chapter 20 of The Road to Reality (ISBN 9781595891136) © 2012 by KP Yohannan, the president and founder of Gospel for Asia. 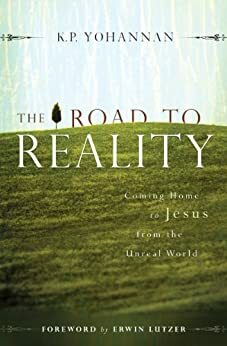 This entry was posted in The Road to Reality and tagged Bridge of Hope, Christian-living, Classic, Discipleship, Dr. KP Yohannan, gfa, Gospel for Asia, Great-commission, Jesus, K.P. Yohannan, KP Yohannan, Missions, Radical, Spirituality on December 24, 2013 by gfaseo. Excerpt from Chapter 17 of The Road to Reality (ISBN 9781595891136) © 2012 by KP Yohannan, the president and founder of Gospel for Asia. This entry was posted in The Road to Reality and tagged Bridge of Hope, Christian-living, Classic, Discipleship, Dr. KP Yohannan, gfa, Gospel for Asia, Great-commission, Jesus, K.P. Yohannan, KP Yohannan, Missions, Radical, Spirituality on December 17, 2013 by gfaseo.